Recently Oneplus released the Oneplus 5T Smartphone with the Fastest recognizing Face ID which is becoming popular after Apple introduced it. 5T is the Successor of a Previously published flagship smartphone called Oneplus 5. The smartphone was announced in the previous month November on the date of 21-2017. There is not much difference on this device from compared to Oneplus 5. Only changes occurred in the aspects of display and fingerprint sensor which is shifted to back. In this article, we will guide to Install TWRP recovery and Root Oneplus 5T with the latest Magisk Su. This smartphone comes with the latest Snapdragon 835 processor and Adreno 540 GPU. A 6.01-inch device with the ~80.0% screen to body ratio that was the latest trend nowadays in the smart phone industry. Built with Corning Gorilla Glass 5 protection and Running with android nougat 7.1.1. 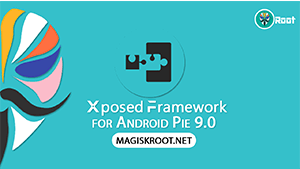 Even you can install Xposed Framework which is officially released by Rovo89 after rooting. 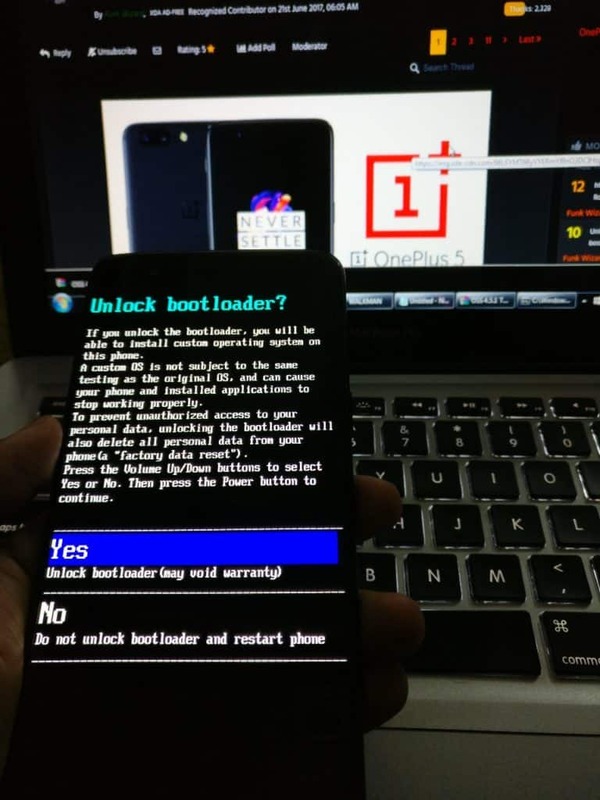 Unlocking Bootloader is way better than the Xiaomi Devices even this does not lose your warranty anymore. This guide is available even not yet OnePlus 5T devices available in the whole world. All credit goes to Xda developers they were made the Working Build of Unofficial TWRP with the help of Kernal Source which is released by the 5T developers. Official One will be out soon once the Xda Moderators start the Corresponding Thread for a OnePlus 5T device. Bookmark us we will let you know whenever it comes out. To root OnePlus 5T, you have some requirements and carefully read the below lines. Your device battery is filled with the 60% charging or more. 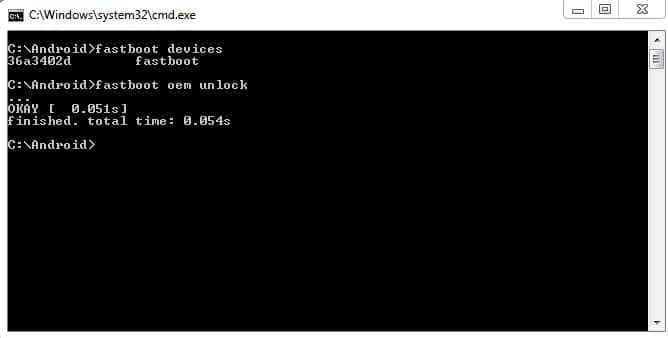 Make a Full backup (Copy all files to your PC) Unlocking bootloader will completely wipe your android device that includes apps, settings, and Internal storage. After copying your all data to the computer. Now, Press the Power off button and select the Bootloader option from the power off menu. Or you can also boot your device into fastboot mode by holding and pressing the power button and volume up button after switch off your device. Now, you are in fastboot mode. Connect USB cable to your PC. Type CMD in the address bar and hit enter. It will Open Command window and check the device is correctly connected or not by entering below command. If your device connected properly, then it will show your device serial number. You will get a warning message on your device. Now, Select the Yes option by using Volume Up button and Click power button to confirm. You will be landed in the stock recovery and Select power off option. You have just completed the 1st step to root oneplus 5t. 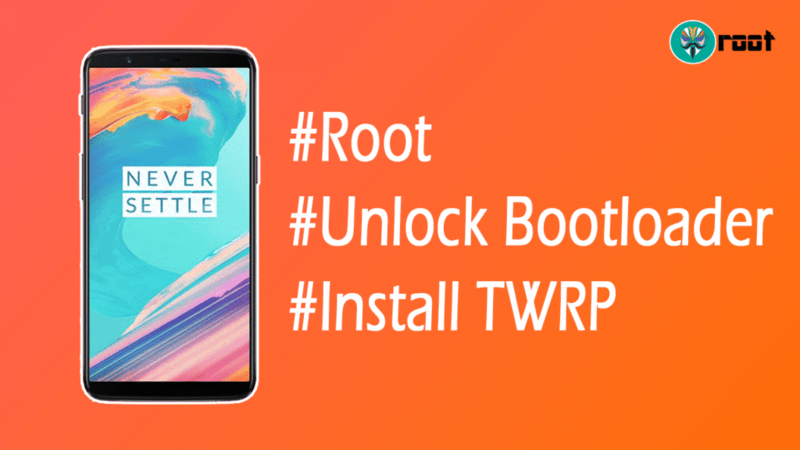 Follow procedure for Install TWRP Recovery on Oneplus 5T. Again boot your device into Fastboot mode by holding and pressing the Volume Up button and Power button. I assumed that USB cable is still connected. Now, Type the below command to Install TWRP. It will take some time to complete the Installation process. After that press and hold the volume down and Power button for rebooting into custom recovery mode. Swipe to allow modifications. That’s it. 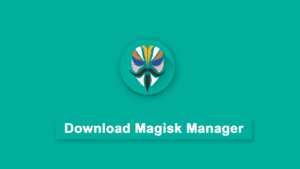 Download the Latest Magisk Su and Magisk Manager from below. 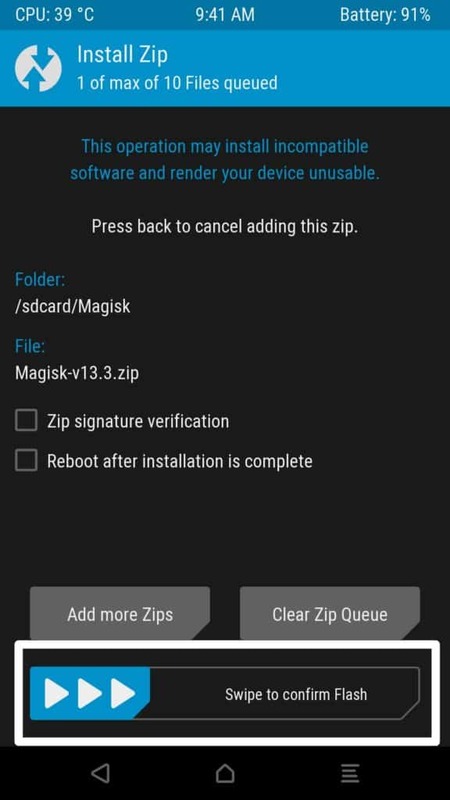 Transfer the Magisk Su.zip and magisk manager to your device via MTP connection. 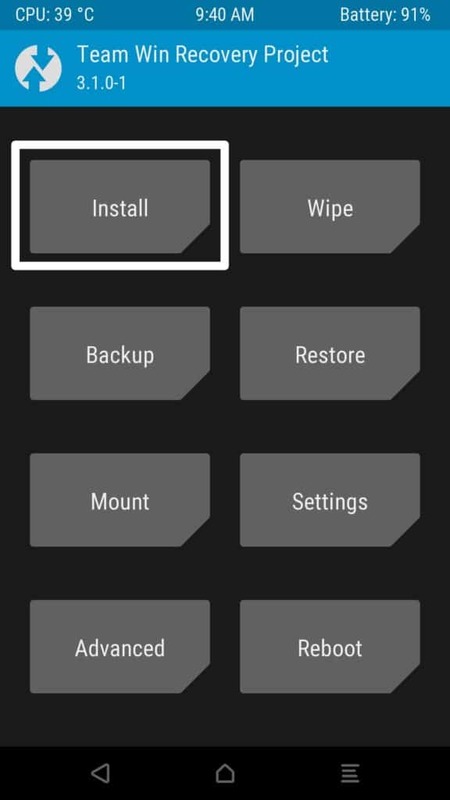 Click on Install button on the TWRP recovery. 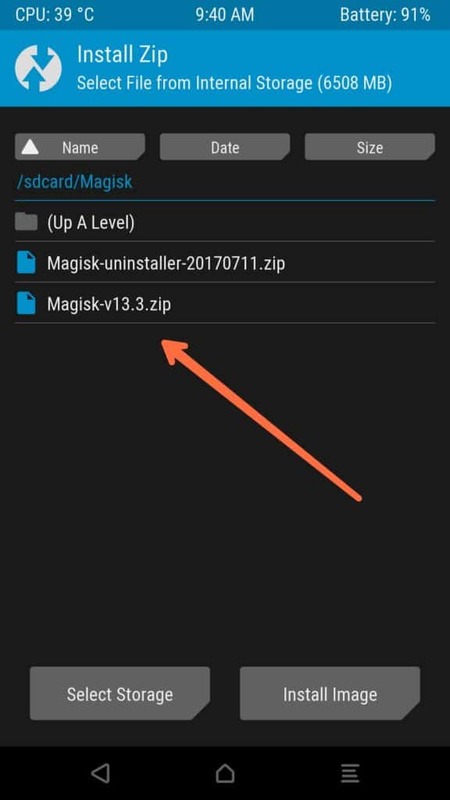 Select the Magisk Su.zip file from the storage. Swipe the button to install the root binaries on your device. The flashing process will take less than a minute to complete. Click on reboot button. 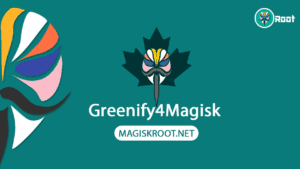 Your device will reboot normally and Install magisk manager app to check the root access. 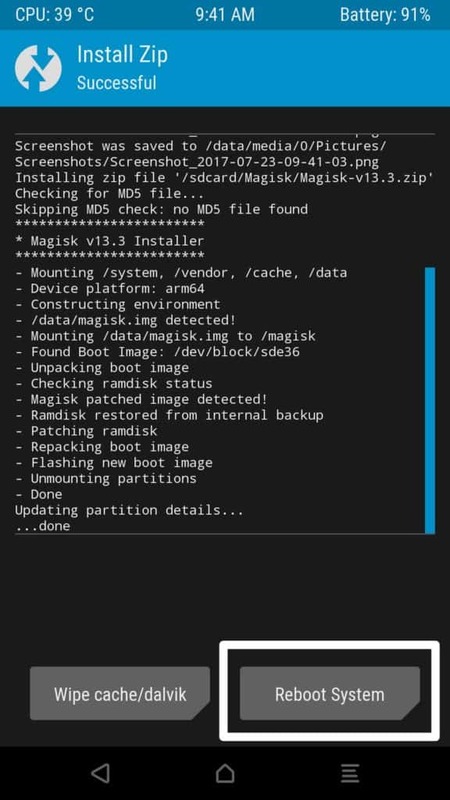 This is the way you can Install Twrp recovery and Root oneplus 5T with the magisk su. 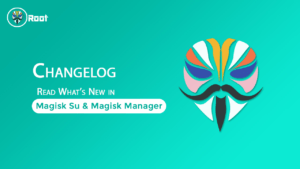 If you use magisk su rather than super su, then you will able to pass the safety net measure. If you have any questions regarding this tutorial then feel free to ask us via comment section. we will help you asap.